What are the PSSA Exams? What Parents Can Do to Help Students on PSSA? 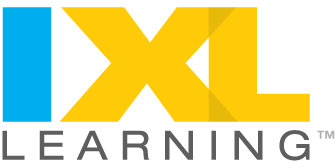 Parents need to know that IXL offers math practice activities for kids Pre-K through high school. Everyone can try the skill practice for free, but this is limited to a small number of problems a day. You must be a member to get unlimited practice, tracking, awards, and certificates. For parents, the cost is $9.95 per month or $79 per year. Kids will need some guidance as to which math skills they should practice. Parents can start with grade level then use the reports tool to help kids identify which concepts to focus on. Pre-K and young kids will likely need support and verbal directions from a parent or teacher. 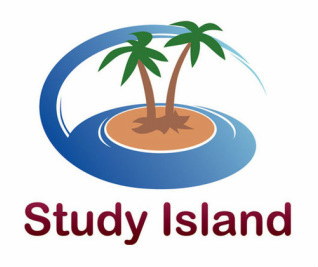 Study Island combines rigorous content that is highly customized to specific state standards in math, reading, writing, science, and social studies with interactive features and games that engage students and reinforce and reward learning achievement. Study Island’s programs enable educators to track student performance in real-time to address individual learning gaps, while allowing administrators to monitor student progress and measure teacher effectiveness. In February, 1997, Susan Brooks and Bill Byles began a collaborative effort to extend assistance to fellow teachers. In November of 2000 that project expanded to a web presence known as Internet 4 Classrooms ("i4c"), a free web portal designed to assist anyone who wants to find high-quality, free Internet resources to use in classroom instruction, developing project ideas, reinforcing specific subject matter areas both in the class and at home and even for online technology tutorials. The portal is used by teachers, parents and students of all ages on six of the seven continents (there are not many classrooms in Antarctica) and is available to anyone with an Internet connection. We do not charge a subscription fee. MobyMax is the fastest growing curriculum in the United States with over 10 million students registered since MobyMax was introduced four years ago. The simple reason for such widespread adoption is that teachers and students love rapid achievement. Students learn twice as fast! You need curriculum that is not only effective but also affordable to succeed. MobyMax redefines the meaning of affordable curriculum. You need to find and fix missing skills to succeed. MobyMax automatically assigns lessons based on progress monitoring’s reporting of missing skills. You need your students to retain their learning to succeed. MobyMax’s review and test preparation greatly enhances retention with a minimum amount of time spent. You need real-time, actionable data to succeed. MobyMax provides district, school, teacher, class, and student reporting as well as progress reports for parents. You need motivated students to succeed. With MobyMax, students are eager to learn and say, "I love Moby!" To succeed, you need a completely integrated curriculum system. Welcome to MobyMax!